Officials with the Valley Unified Regional Service Center have selected and confirmed the names of 14 of 17 representatives from the three member school systems to serve on a committee to find a location for a proposed regional high school. 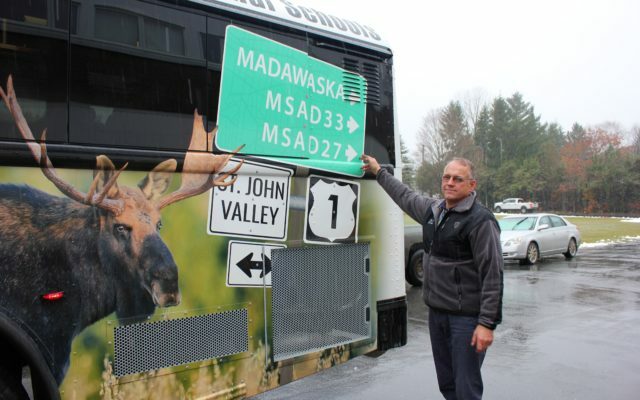 MADAWASKA, Maine — Officials with the Valley Unified Regional Service Center have selected and confirmed the names of 14 of 17 representatives from the three member school systems to serve on a committee to find a location for a proposed regional high school. In August, the Valley Unified Board — representing the Madawaska School Department and Maine School Administrative Districts 27 and 33 in the Fort Kent and Frenchville areas — learned that the Maine State Board of Education selected its proposal to build a regional pilot consolidated school. The school systems are now trying to find the optimal location while continuing the process of securing up to $100 million from the state to build the facility that would combine three existing high schools, integrate technical and career training, and include some post-secondary education aspects. In October, members of the Valley Unified Board approved a site selection process that involves creating a committee comprised of members from all communities within the Valley Unified Regional Service Center. The site selection committee will serve in an advisory capacity to the regional board, which will have final say. The selection panel is to be comprised of nine diverse community members, three business partner representatives, two university representatives, and three Valley Unified Board members. The number of community members from each school system was based on each system’s total student population. MSAD 27, which serves the communities of Fort Kent, Wallagrass, New Canada, St. John, and St. Francis, currently has a student population of 865. MSAD 33 serves 232 students from St. Agatha and Frenchville; and the Madawaska School Department serves 436 students. Therefore, there are four community members from MSAD 27, three from the Madawaska School Department, and two from MSAD 33. The school boards from the respective systems appointed the community members, but town managers from member communities were asked to help identify prospective members and share their recommendations with the school boards. The MSAD 33 board chose Ryan E. Pelletier and Danny Bechard, and MSAD 27 chose Suzie Paradis, Lana Vosine, Jacob Theriault, and Keith Jandreau. The three community members for Madawaska have not yet been named, but will be confirmed at the Dec. 10 Madawaska school committee meeting, according to Dionne. She said there have been two people who have accepted being nominated for the positions, but that anyone else in the community who is willing to take on the commitment can call the school department and submit his or her name as a nominee. “At our last school committee meeting, we had two names, so the [committee] decided we would work on getting a third nominee, and we want to announce them all at once,” Dionne said. The three business partner representatives, one from each school system, were appointed by agreement among the superintendents and are Mark Chamberland with RF Chamberland representing MSAD 33, Douglas Cyr with Irving Woodlands representing MSAD 27, and Doug Cyr from Twin Rivers Paper representing the Madawaska School Department. The higher education representatives selected are Tim Crowley, president of Northern Maine Community College, and Scott Voisine, dean of community education at the University of Maine at Fort Kent. And finally, the school boards of each school administrative unit appointed one school board member each to serve on the panel — Gerard Castonguay was appointed the school board representative for MSAD 33, Sarah Ashley for MSAD 27, and Robert Poiesz for the Madawaska School Department. In the meantime, the Maine Department of Education has put out a request for bids from engineering and architectural firms to review and assess potential sites alongside the selection committee, according to an email from Peter Caron, who is innovative practice and community outreach coordinator for the Valley Unified Regional Service Center. The bids are due by Nov. 30. The selection committee will work with that firm in an attempt to come up with a consensus for a single site or recommend more than one site for the regional board to consider. At least seven members of the regional board will need to vote in favor of the location, and the State Board of Education will have final approval. While this process is likely to start before the end of the year, the analysis and review work is not expected to be done before late spring or early summer 2019, according to officials.